Bitcoin isn't a medium of exchange, it's a medium of speculation based on the idea that the world in just a few short days will be using Bitcoin for daily consumer transactions everywhere. 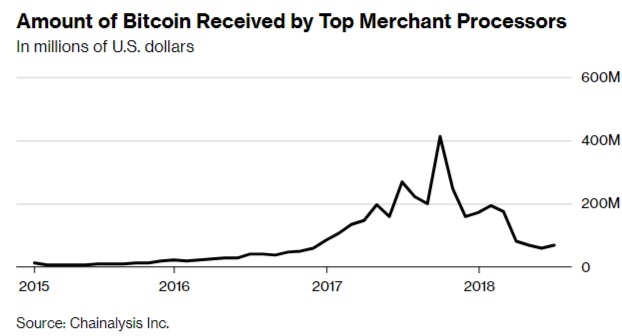 In reality, after peaking at $411 million in September, the amount of money the largest 17 crypto merchant-processing services received in the best-known cryptocurrency has been on a steady decline, hitting a recent low of $60 million in May, according to research that Chainalysis Inc. conducted for Bloomberg News. That's just $2 million a day in transactions.